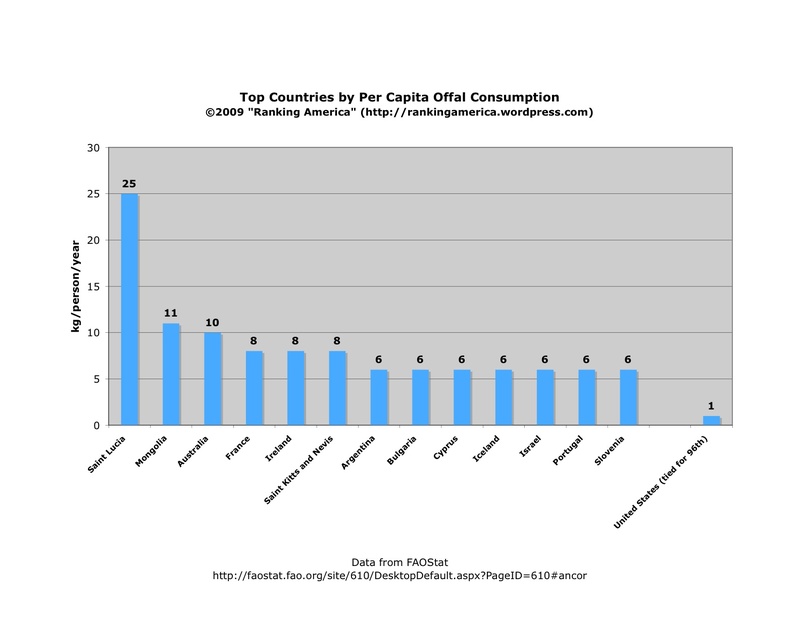 According to the Food and Agricultural Organization of the United Nations, the annual per capita edible offal consumption in the United States is one kilogram, which makes the United States tied for ninety-sixth in that category with close to forty other countries. St. Lucia ranks first, with 25 kilograms of edible offal consumed per capita each year. According to data gathered between 1998 and 2000 and published in the Seventh United Nations Survey of Crime, there are 805.21 assaults for every 100,000 Americans, a rate that makes the United States rank sixth in that category. 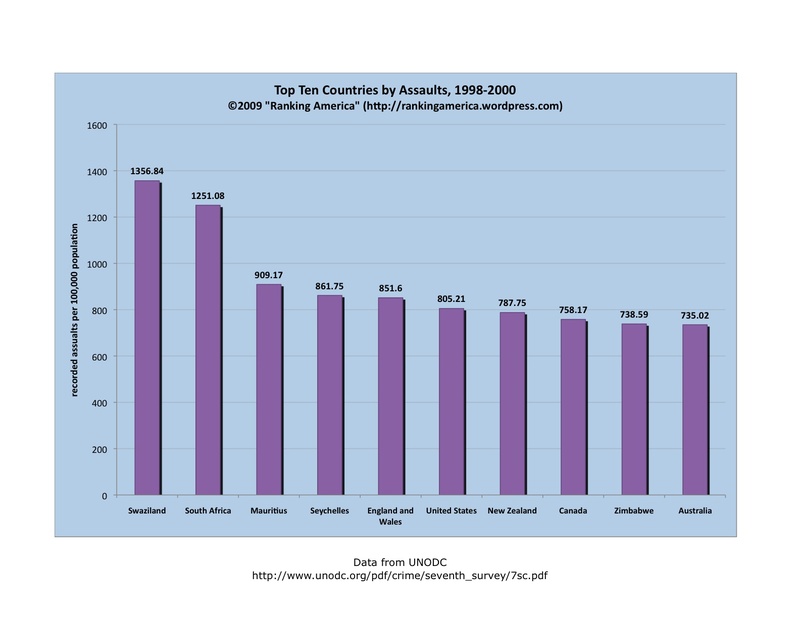 Swaziland ranks first, with 1356.84 recorded assaults per 100,000 people.